Our world is developing every day, our life is changing every hour and the evolution doesn't seat behind the door, it waits when to show us great development of technological dimension. We haven't used the first slot machine which has the name Liberty Bell, but maybe when we try it, we'll see what is better - the earliest slot device or the contemporary pattern, which always surprises us with its ingenuity. Yeah, that's good that no longer have the gamblers to pull the lever; the assistant doesn't come to bring us candies for our win, everything has become exactly like Charles fey was dreaming while starting the slot machines history - automatic and easy. But maybe not everything is so good? Let's reveal how slot machines work. 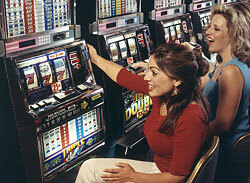 The slot game has already decided a long time ago! So, isn't it a miracle? Joking, but opening the eyes especially to the addicted persons is the good task to cope with. It's a machine and we have always to remember this, it's not a living one-armed bandit, it's a fake mechanism! 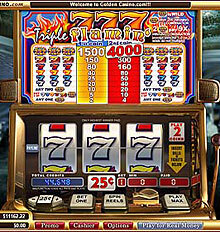 But nevertheless there are so many persons who have already overcome this beast, who may have revealed its sophisticated secrets and continue enjoying best slot games. Forget about all the written and keep on believing in miracles!